Hey everyone! 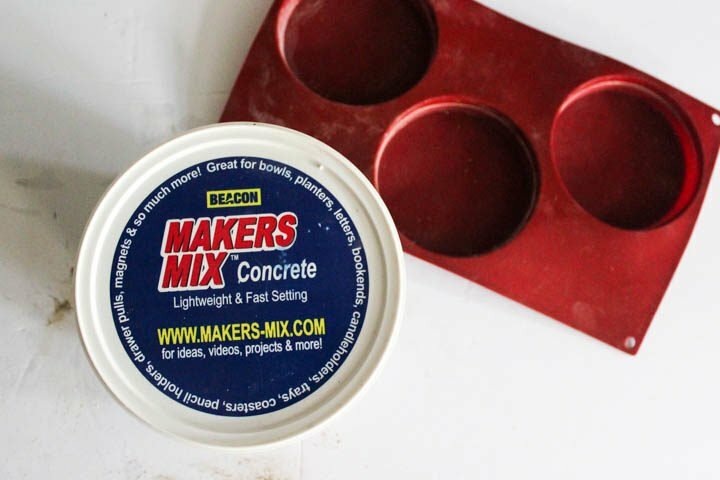 It’s Lindi, back again from Love Create Celebrate to share another quick DIY project. 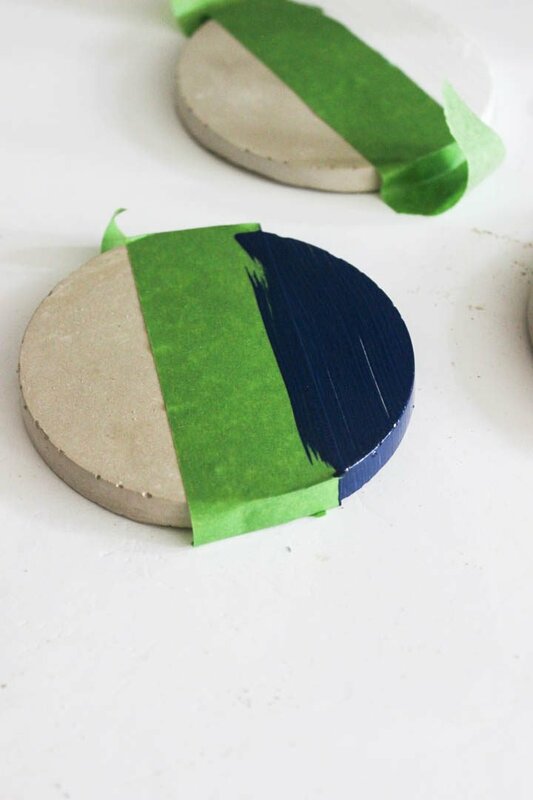 Last month I shared my first project, which were these fun square napkin rings, and this month I’m getting dirty with concrete! 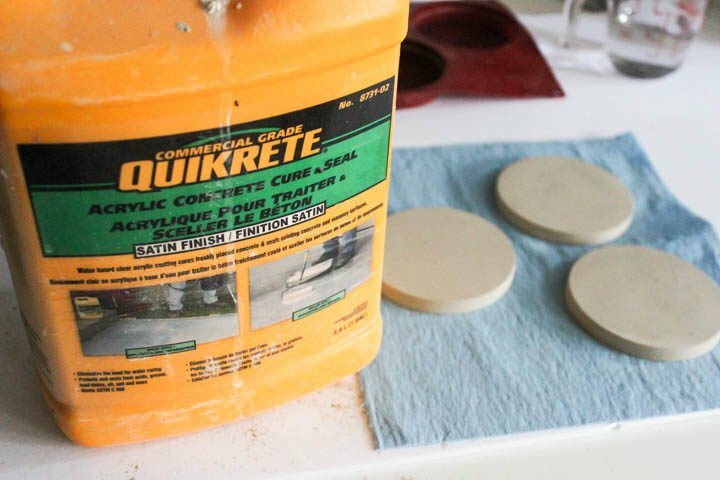 Have you noticed concrete decor sneaking into homes more and more lately? I can’t get enough! I love the look of concrete pieces. 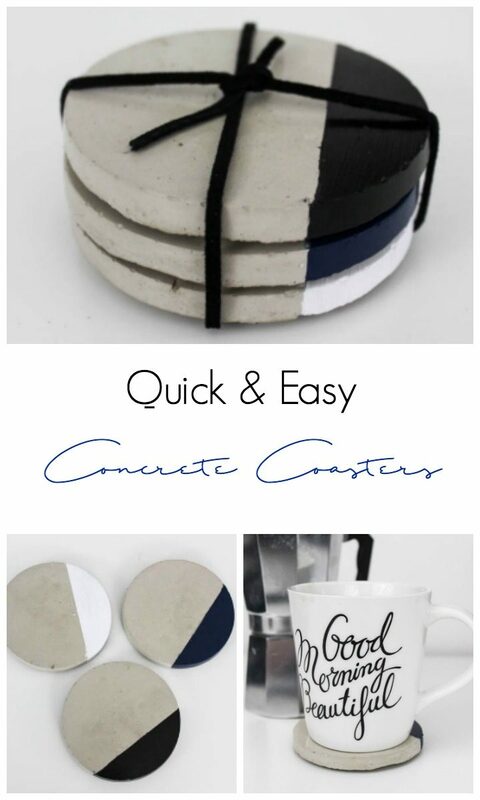 When done in the right way, a concrete vase or coaster doesn’t have to be cold, but can look sleek and modern! 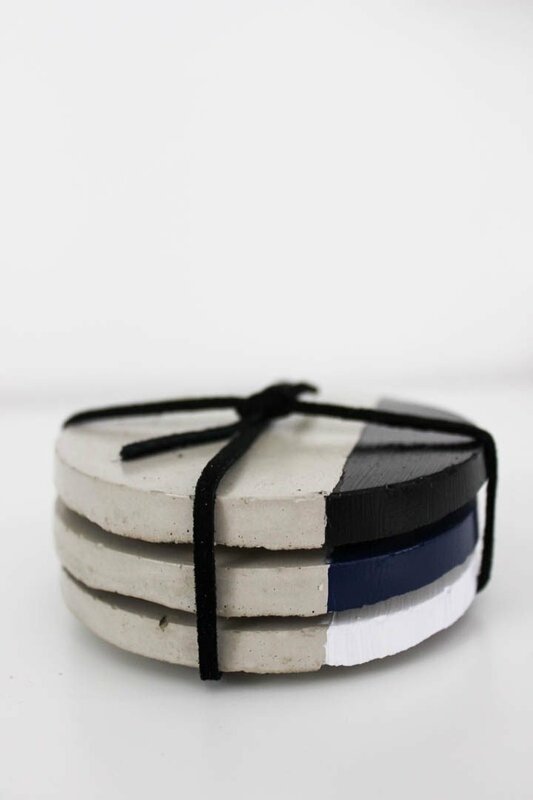 Just like this stylish soap dish or this modern concrete candle. 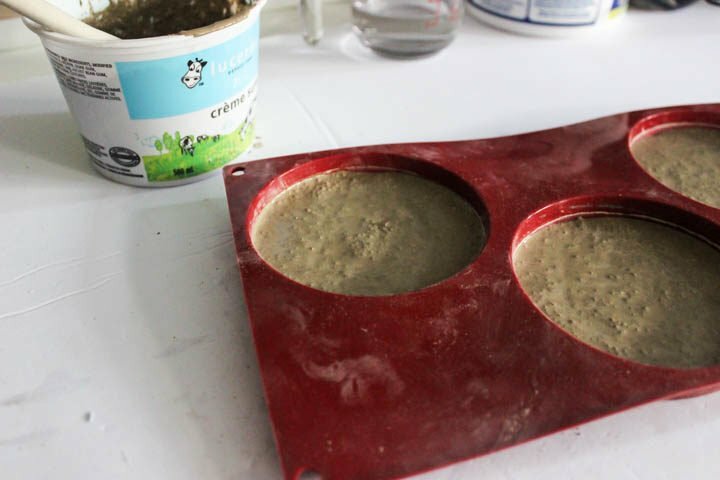 Start by mixing your concrete with water in a bowl according to the directions on the package. 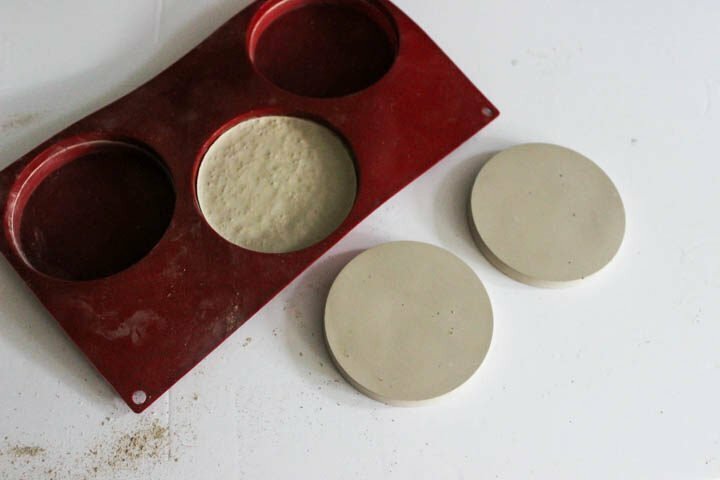 When you get a smooth consistency, pour the concrete mixture into your molds and shake the mold lightly, until the concrete sits flat. 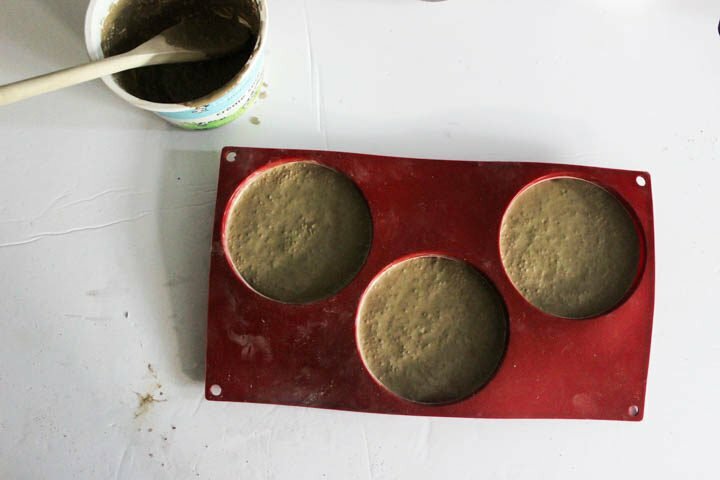 When the concrete is ready, about 45 minutes later, you can pop them out of the molds. 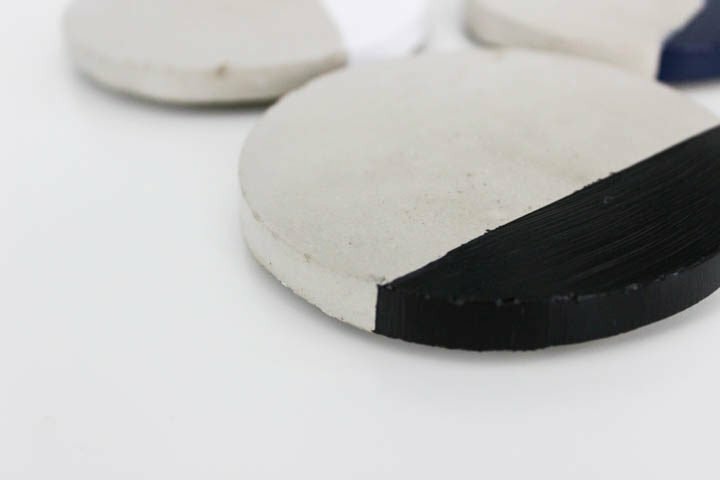 Use a concrete sealer to seal and protect your coasters from future, inevitable spills. 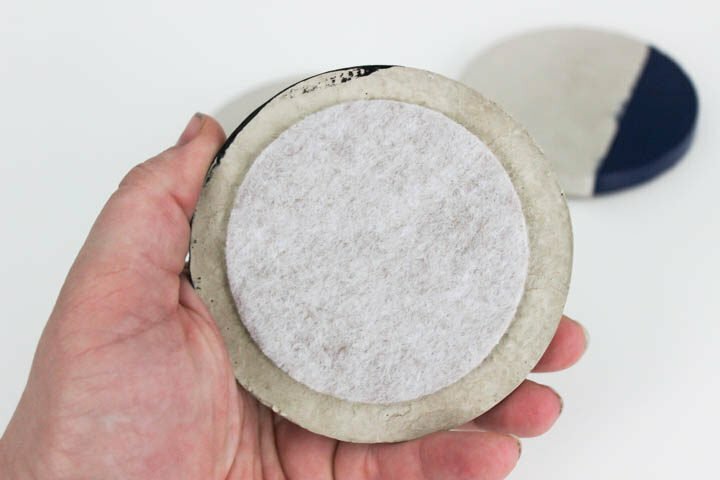 To protect your table surfaces, you can add felt pads, that you can find at any hardware store, to the bottom of your concrete coasters. 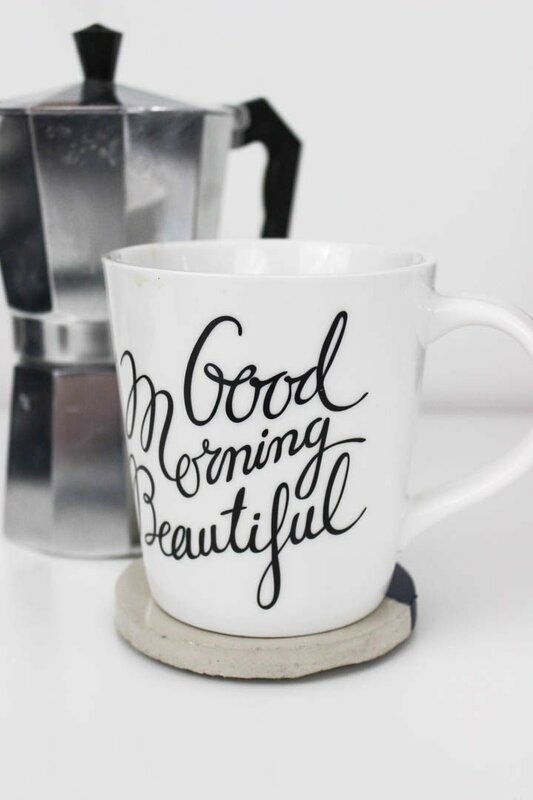 Lindi is a wife, a mother of two beautiful girls, and a blogger. She is currently living in Northern Alberta, Canada where she became a self-taught crafter, decorator, builder - you name it! 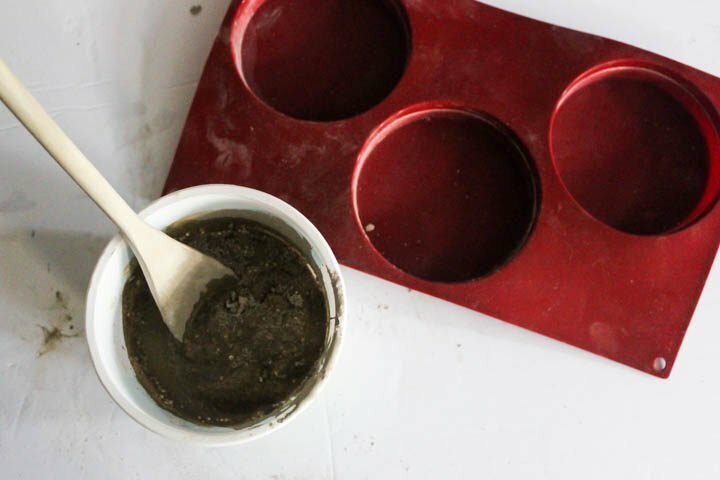 Love Create Celebrate is a DIY blog that focuses on the home. 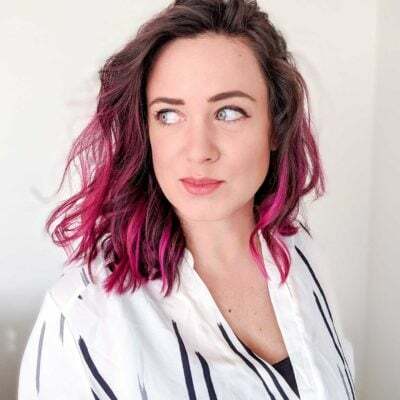 Her main focus is on helping readers love, create, and celebrate their homes by sharing her favourite DIY furniture projects, DIY home décor projects, and home renovations. 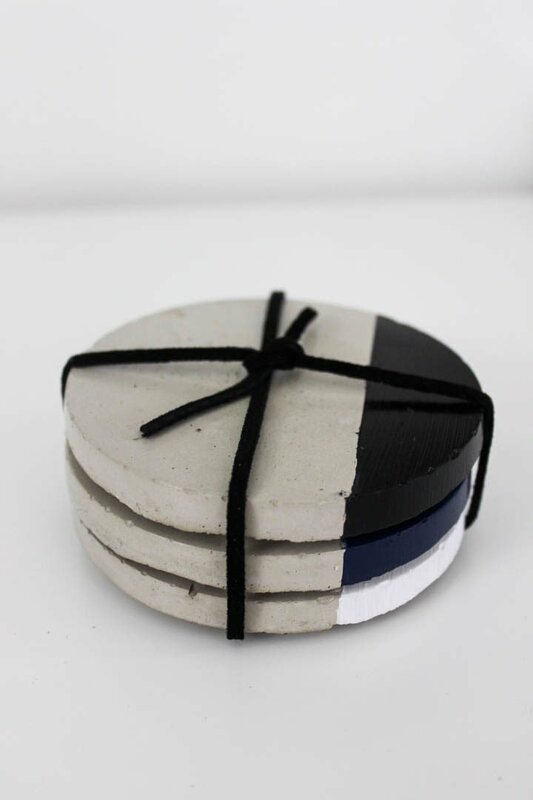 My wife and I are on the look out for diy home decors since we are planning to have our house remodelled before the year ends–also stuffing away old boring stuff from the house! 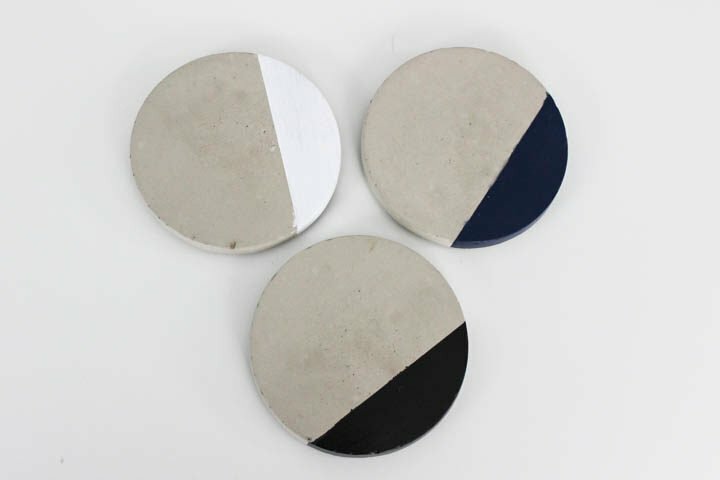 We think these concrete coasters are perfect and unique additional to our soon-to-be projects. Thank you for sharing!